The HOT BIRD™ 9 broadcast satellite will be launched in 2008 and positioned at the Group’s premium video neighbourhood at 13 degrees East. Designed to cover all 102 Ku-band transponders at the HOT BIRD™ neighbourhood, it will be able to substitute any transponder on any other HOT BIRD™ satellite. Its broad footprint and high emission power will enable digital and new HDTV channels as well as interactive services to be received by small DTH antennas and cable and community networks throughout Europe, North Africa and the Middle East. Planned to launch in 2008, W2M will operate typically 26 transponders in Ku-band and up to 32 depending on operational modes, at Eutelsat’s 16 degrees East orbital position. W2M, like all the satellites in the W series, displays great flexibility to operate a wide range of services from television broadcasting to data networks and broadband, and is designed to provide additional security for customers. The fixed beam will cover Europe, North Africa and the Middle East, while a steerable beam can be re-oriented in-orbit according to market requirements and notably towards Africa and central Asia. 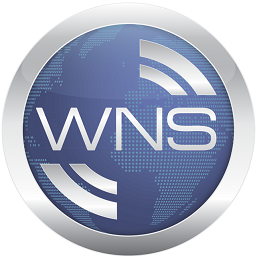 Scheduled for launch in the second quarter of 2009, W7 will feature up to 74 operational Ku-band channels, making use of the full spectrum of frequencies available in this band. A widebeam coverage over Eurasia will be particularly suited to TV feeds, public/corporate telephony and data services, while the Central Asian beam will be targeted at the oil and gas sector for voice and data services using DVB-RCS applications with 90/120cm antennas. KA-SAT is scheduled for launch in third quarter 2010. It will be configured with over 80 spotbeams, making it the most advanced multi-spot satellite designed in the world to date. The satellite will form the cornerstone of a major new satellite infrastructure programme that will significantly expand capacity for consumer broadband services across Europe and the Mediterranean Basin, while providing new opportunities for local and regional television markets. Eutelsat will locate KA-SAT at 13 degrees East where it will join three large HOT BIRD™ Ku-band broadcasting satellites that form the world’s leading video neighbourhood. This collocation will enrich the range of consumer entertainment services offered from the Group’s prime neighbourhood by enabling satellite homes to receive television in the Ku-band and new rich media services in the Ka-band through a single dual-frequency antenna. The HOT BIRD™ 10 broadcast satellite will be launched in first quarter 2009 and positioned at the Group’s 13 degrees East location. Following HOT BIRD™ 8 and 9, it is the third high-power broadcast satellite based on Astrium’s Eurostar E3000 platform that will be located at Eutelsat’s premium video neighbourhood for cable and satellite broadcasting. The procurement of HOT BIRD™ 10 underpins Eutelsat’s objectives to continue to renew capacity at its HOT BIRD™ neighbourhood, to raise in-orbit redundancy and security for broadcasting clients and to increase overall flexibility across its satellite fleet. Due for launch first quarter 2009, W2A will offer Ku-band capacity for video, broadband and telecommunications services in Europe, Africa and the Middle East, and C-band capacity for services across Africa. It will also carry an S-band payload enabling the delivery, for the first time, of mobile multimedia broadcast services (mobile TV, digital radio, …) directly onto user terminals over key markets in western Europe. The Ku-band payload will be connected to a fixed widebeam over Europe, North Africa and the Middle East, providing capacity for business networks and broadcasting services. A second fixed beam will serve southern Africa and Indian Ocean islands. The C-band mission will provide pan-African coverage for broadband and telecommunications services. The state-of-the-art S-band payload at 2.2 GHz will initiate the building of a hybrid infrastructure over Europe, combining satellite and terrestrial networks, providing both universal coverage and indoor penetration for Mobile TV services. W2A’s S-band payload will also enable other communications services, such as security communications or crisis management. W3B will be based on the Thales Alenia Space 4000 platform. Due for launch in second quarter 2010, the new satellite will join the W3A satellite at 7° East, one of the Group’s most established and strategic neighbourhoods serving markets across Europe, Africa, the Middle East and central Asia. With 56 transponders, it will enable W3A’s anchor clients to benefit from significantly enhanced in-orbit security, and will increase capacity at Eutelsat’s 7° East location by more than 50 per cent. The satellite will have three principal missions:a high-power coverage optimised for DTH over central Europe and in particular Turkey; a vast footprint over Europe, North Africa, the Middle East and central Asia for professional data and video networks; and a Ku-band coverage over sub-Saharan Africa and Indian Ocean islands for telecommunications and broadband services. Interconnection with Europe will also be possible with the African coverage through a combination of Ka-band frequencies in Europe and Ku-band frequencies in Africa. Up to 16 transponders will provide two-way communications between Europe and Africa, associating Ku and Ka-band frequencies with switching managed by the satellite. This architecture is specifically designed to serve networks with hub stations located in Europe and user terminals in Africa.